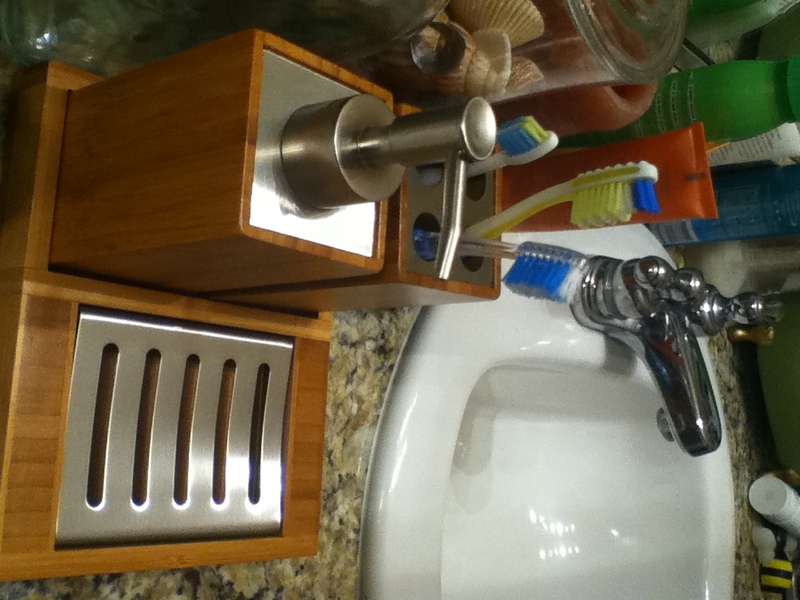 I was happy to receive a beautiful bathroom soap and toothbrush holder from Toilet Tree. As you can see it fits perfectly with the color of our bathroom. It is made of sustainable bamboo which we love. My husband is doing a unit on community awareness and we live in a desert. We are “water smart” and like to recycle and do little things to help conserve resources, so we love bamboo accessories in our home. 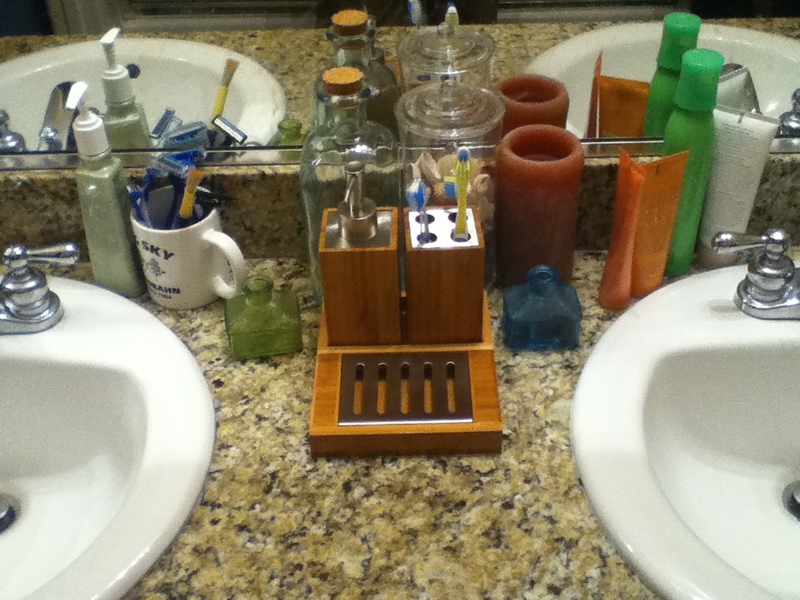 We also love that it fits so nicely between our sinks, and is perfect for both of us to use. Bamboo is also naturally water-resistant and super easy to clean. Each piece is removable and can be cleaned thoroughly, which my OCD cleaning side loves! We have had a tiny adjustment period with the toothbrush holder as it is not mounted, or secured to the container and if we are going fast, or have fat toothbrushes it will pull to metal top off with your toothbrush, but we have adjusted and no longer worry about that. I love that the soap dispenser is a separate bottle, and is refillable. This will also help us with our small conservation efforts as I can buy the hand soap in bulk and just refill the dispenser as needed. Toilet Tree also offers other fabulous products. They have a great fog-less shower mirror, an oral Irrigator that is rechargeable, and a whole line of bamboo products for the bathroom. My next purchase may be their bamboo towel rack. It is beautiful, and would fit perfectly in my son’s bathroom. The products are beautiful, sustainable and functional. Please check out their site and see for yourself.